Kuddle-Up Baby Blankets: Babies Will Definitely Cuddle Into These Flannelized Blankets. 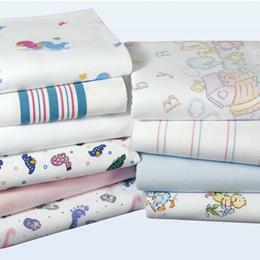 So Soft, Warm And Fluffy, They Work Wonderfully As Attractive Crib Or Receiving Blankets. 30" X 40", White W/ Blue Striped Borders,.